Celebrate the holiday spirit at the The Village Green in Cottage Grove. 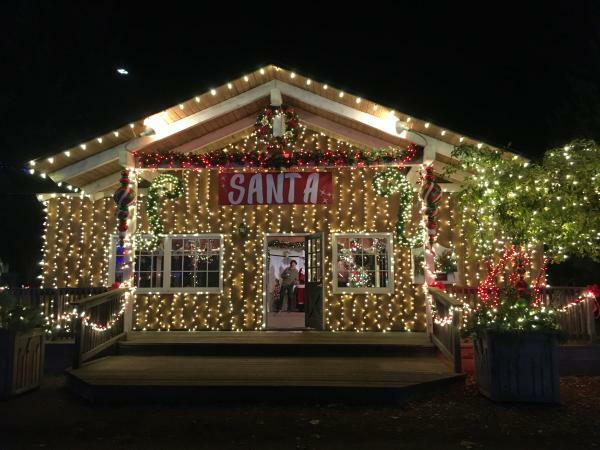 Their outdoor gardens offer over half a million Christmas lights, food and beverages, fire-pits, Santa visits and more! Here are the top five reasons to visit this unique holiday market before Christmas. The lights are obviously the main attraction here. 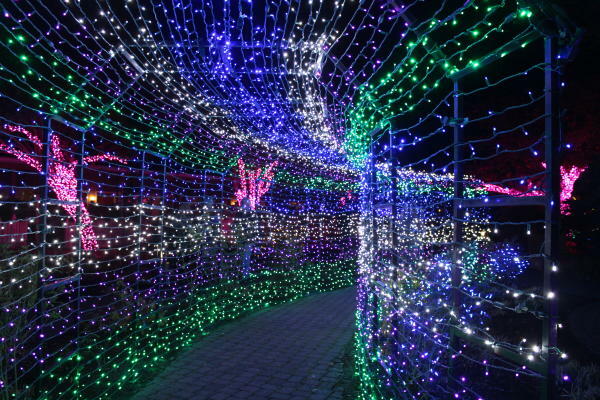 See over 500,000 Christmas lights covering the gardens at The Village Green. 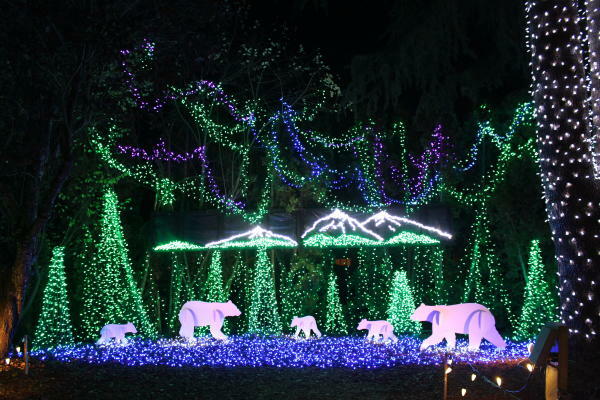 Walk through the light tunnel, see the Three Sisters Mountains, giant light-up presents, snowmen and more! This German-themed market offers food and drink booths throughout. Enjoy Bratwurst, tri-tip sandwiches, fondue plates and Bavarian pretzels for dinner and then finish with a cinnamon roll, salted caramel covered brownie, kettle corn or sweet pretzel for dessert. Their drink menu offers kid favorites like hot chocolate and apple cider. Adult beverages include Gluhwein (hot spiced wine), hot buttered rum, hard cider, beer and orchata rum coffee. Adults can also add a kick of hard alcohol to hot chocolate or apple cider. Artisan vendor booths are open for holiday shopping. 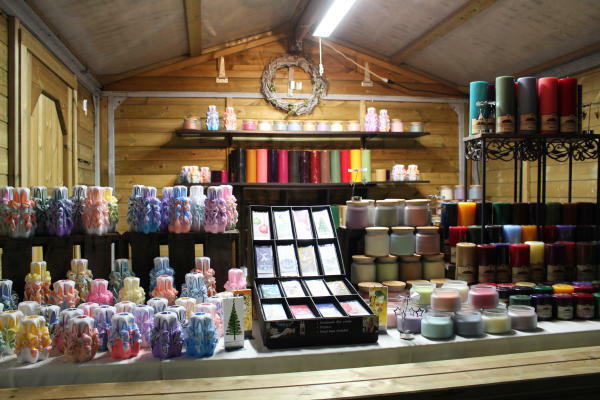 Browse handmade gifts such as birdhouses, candles, jewelry, clothing, holiday décor and more. This is a great place to purchase locally made gifts to loved ones for the holidays. 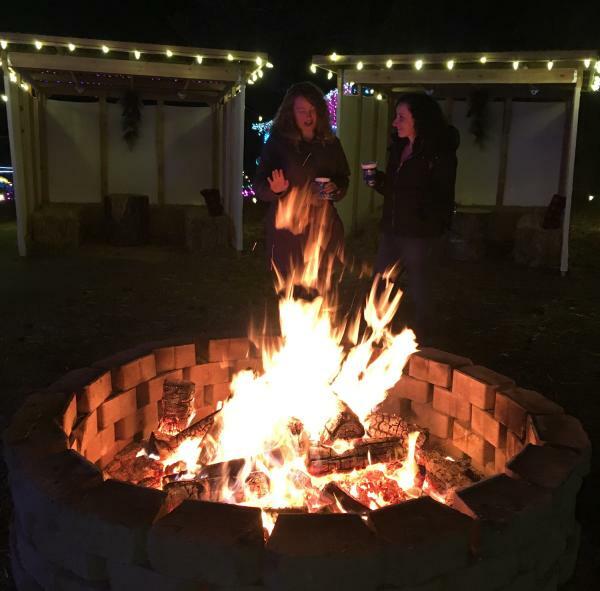 It may be chilly outside this time of year, but you’ll stay warm by the many fire pits throughout the market. Soak in the warmth while listening to live music from local bands and musicians. Blankets and covered seating areas available as well. Bring your kids (and your pets!) to visit Santa. Santa’s living room is all set-up and he’s waiting to hear those Christmas wishes and take photos. The entire market is pet friendly, so bring them down to get their picture taken too! Santa will be there every night the market is open. There is no cost to take photos with Santa but bring your own camera! Certain nights also feature special appearances. December 8 will have reindeer and December 14 will have carolers strolling through the market. 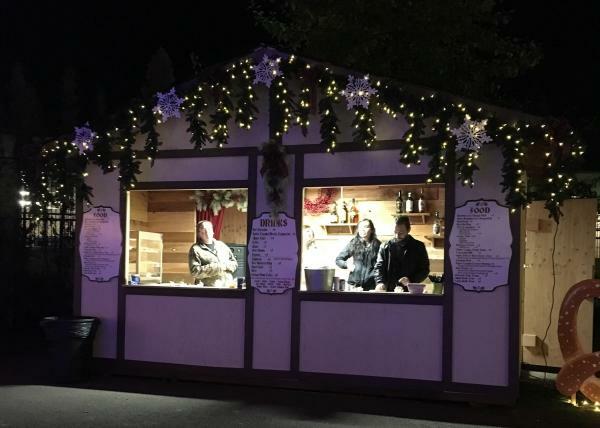 The Village Green Christmas Market is open Thursdays – Sundays from 5 – 9 p.m. from November 23 – December 23. Save money by purchasing tickets beforehand. Tickets also available at the door. 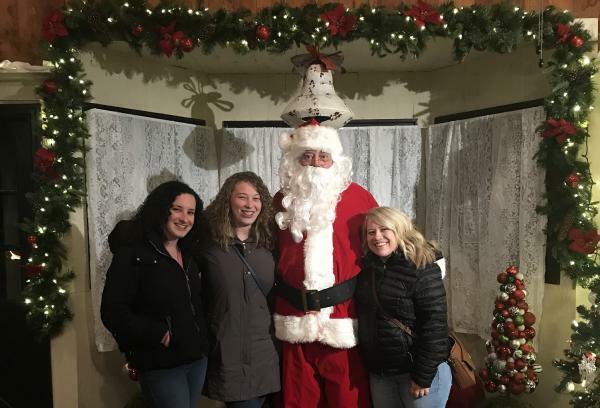 Stay the night at The Village Green by booking a lodging package that includes overnight accommodations, admission to the Christmas market, drink voucher, commemorative mug and breakfast. Hayley Radich is the Member Services Manager for Travel Lane County. Born and raised in Springfield, she loves the easy accessibility of the Oregon Coast and Cascade Mountains. Hayley is an avid kayaker and enjoys whitewater rafting and spending summer days on the McKenzie River.